Late last week the IRS told the House Ways and Means Committee, after a year of investigation, that emails belonging to former head of taxpayer organizations Lois Lerner dated between January 2009 and April 2011 have been "lost." Now, the IRS has announced it can't find emails belonging to six high ranking officials involved in the IRS targeting of conservative and tea party groups. One of those officials is former chief of staff to former Acting Commissioner Steven Miller, Nikole Flax. The "lost" emails fall during the time period when "the Washington, DC office wrote and directed the Cincinnati field office to send abusive questionnaires, including inappropriate demands for donor information, to conservative groups," according to the House Ways and Means Committee. During his time at the IRS, Miller made numerous trips to the White House according to visitor logs. “It looks like the American people were lied to and the IRS tried to cover-up the fact it conveniently lost key documents in this investigation. The White House promised full cooperation, the Commissioner promised full access to Lois Lerner emails and now the Agency claims it cannot produce those materials and they’ve known for months they couldn’t do this," Chairman of the House Ways and Means Committee Dave Camp said about the revelations. “Even when the IRS does admit something, they are not fully honest with us. Despite their attempt to bury the missing Lerner emails on page 15 of a 27 page letter that arrived late Friday, we now know documents from other central figures, like Nikole Flax, are missing. The fact that Ms. Flax was a frequent visitor to the White House and the Eisenhower Executive Office Building only raises more questions. Who was she visiting at the White House and what were they talking about? Was she updating the White House on the targeting or was she getting orders? These are answers we don’t yet have, because – surprise, surprise – a few computers crashed. Plot lines in Hollywood are more believable than what we are getting from this White House and the IRS." Not surprisingly, the IRS kept this latest email "loss" from Congress for months. 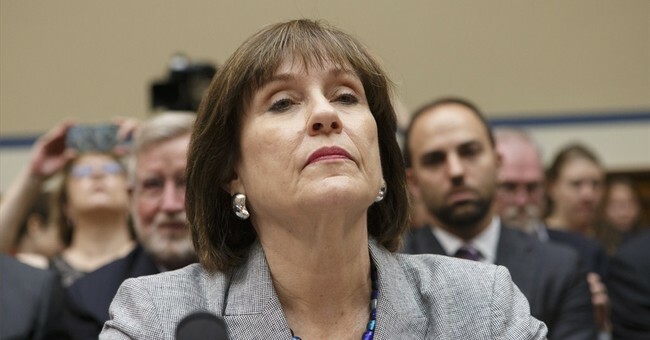 According to Ways and Means "investigators have confirmed that the Agency first knew of the destroyed emails as early as February 2014 – nearly three months prior to newly installed Commissioner John Koskinen telling the Committee the IRS would produce all of Lois Lerner’s emails." “This entire investigation has been slow-walked by the Administration while they denied any wrongdoing and tried blaming ‘low-level’ workers in Cincinnati – all of which we have proven to be wrong. This entire case started with the White House and top Democrats in the Senate using the bully pulpit to bully law-abiding Americans because they dared to stand up for their own political beliefs. The only way for Democrats to have any credibility on this issue is to immediately give an independent prosecutor full access and full authority to investigate every angle of this case," Camp said. The #IRS's claim that Lerner emails are not recoverable is unacceptable. We demand the President work w/ Congress to get the facts. Emails don't get lost. The IRS is lying. IRS officials are currently weighing their options about which lies they are willing to tell, to the American people and Congress, and what the consequences for those lies will be. IRS Commissioner John Koskinen will testify in front of the House Ways and Means Committee next week.